I hate recurring bills. But since I can’t avoid them completely, I do my best to minimize them. I’m fortunate because no one in our household is all that into TV. So, for a while, we got by with an over-the-air antenna that sort of picked up a few of the major networks. Still, even I found it annoying when I wanted to watch truly important events such as The Masters or The Open Championship and I couldn’t quite make out the golf ball from all the static. So, I relented, and signed up for the most basic cable package available. For $19.07 per month, we had nice, clear access to the major networks. That was fine until one of our kids got interested in soccer and became good enough to make a club team. It didn’t take too many Saturdays of sitting on the sidelines to realize how woefully deficient I was in my new role as a soccer dad. Not only did I have to keep asking people to explain soccer’s offside rule, but I soon realized most of our son’s teammates watched a lot of pro soccer on TV. Certain that cheaping out on TV would stunt our son’s development as a soccer player, I began looking into the options. Almost immediately, I was shocked by the crazy prices, and the equally crazy number of channels, which made Springsteen’s 1992 song, “57 Channels (And Nothin’ On)”, seem quaint. So, I took a deep breath, thought about what channels we actually needed in order to watch what we wanted, did a little research, and signed up for Sling TV at $42.14 per month. 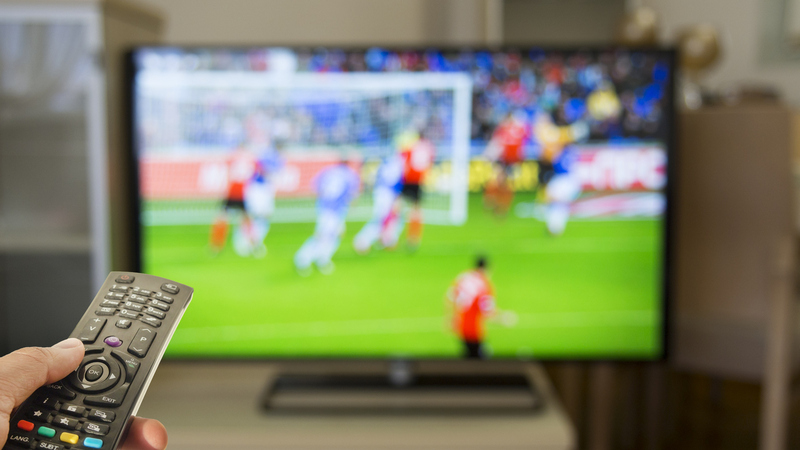 That gives us access to more than 70 channels via both of Sling’s “core” service offerings—Sling Orange and Sling Blue—including enough sports channels to be able to watch games across several pro soccer leagues. Lastly, we average a couple of Amazon movie rentals per month at $3.99 each, or 7.98 per month. We use Amazon because some movies available there can be watched through ClearPlay. Oh, we also pay $55 per month for Internet access, although I don’t consider that part of our TV package since we use the Internet for other things as well. We used to pay more for Internet service, but a new company started offering faster speeds at a lower cost in our area and guaranteed their price for five years, so we signed up. My advice? Don’t react to this cable/satellite/streaming service special deal or that one. Be proactive in thinking about what you really want to watch and then shop the various services. If it’s been a while since you’ve done that, you’ll probably be surprised at the number of options available. And you may just be surprised to discover that it doesn’t have to cost over $100 a month to watch TV. What programming services do you use, why did you choose them, and how much do you pay? Our experience with both Roku and digital antennae have been disappointing. The digital antennae simply result in a blank screen and it takes forever to switch out of it and back to live TV. Roku sometimes won’t load at all, or just freezes the sound and picture. My husband and I are both in our 60s, so age may play a part in our technological ineptitude. It may also have to do with the fact that we still have digital cable, which we retained until we could be sure that the replacements were working properly. In any event it might be worth the cost for those in our situation to have these things professionally installed. It would add to the expense, but a one-time installation or consultation could help to save money over time. Or just ask a teenager you know to see if he or she can figure it out. Our kids have taught me about some features I never knew my iPhone had! It’s a good suggestion. But our young sons, who have every digital device known to man, were also unable to figure it out. I wonder if our idea to retain our cable service has anything to do with it. 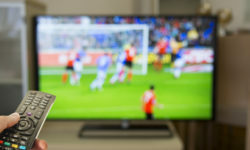 Since we have been AT&T cell phone customers for over 15 years we bit the cable bullet last fall and went with AT&T Uverse internet service for $40/mo and we use Fire Sticks on all our TV’s. We also have AT&T’s Direct TV Now for $25/mo which totals $65 for internet and TV. We only use our cell phones so we have no land line anymore. We also have an intena on all the TV’s in case the internet goes out. I will confess that I miss the DVR service with our old cable but we are also Beta testing for Direct TV Now’s new version which will include a new guide format and cloud DVR service. Sure there are times that I miss the reliability and picture quality of my cable but every month I do not miss the $250 bill for cable/internet/phone service. As long as my hubby gets his sports channels and I can get Lifetime and HGTV I’m happy! Great stuff, Faith. Your last point is the key — knowing what you really want to watch and finding the most cost effective way to achieve that. There are so many channels the average subscriber receives but has no interest in watching! Looks like things are already moving in that direction. Here’s a service I just heard about from Spectrum: https://www.spectrum.com/choice.html. You need to use their Internet service, though. We use a combination of Playstation Vue, Amazon Prime and over-the-air content recorded using a DVR. It gives us way more content than we could ever watch. In addition to that we rent movies every once in a while with Google Play or Amazon. Works pretty well and we end up paying about $50/month or so for everything. I’m starting to feel like I’m the one spending too much on TV! I haven’t tried SlingTV, but have heard some good things about it. We’re hooked up to the streaming services (Hulu, Netflix and sometimes Amazon Prime). Also, to feed my golfing bug, I sign-up for PGA Tour LIVE, which is $40/year and gives you access to Thurs/Friday coverage of featured groups. We do have a basic cable package as well – but that runs under $30/mo w/ taxes. PGA Tour LIVE? I think we’re about to starting paying another $40 a year. We have a digital antenna and get about 40 HD channels, all the networks and 4 different PBS channels. No cable or movie channels, of course, but we also have Netflix and occasionally use Amazon on Demand. Total: antenna $0/mo., Netflix $7ish /mo., Amazon on Demand movies: $3.99 or so for each movie. Bobbie – It’s great that you can make a digital antenna work where you live. We tried several different antennas, but just couldn’t get good reception. We watch the news and some PBS on broadcast TV. Cost: digital antenna and conversion box. Movies: Our public library has 1000s more than we could ever watch (check out limit is FIFTY per week! ), and we can skip parts or eject the disk when the plot or the morals start to go downhill. Cost: included in our property tax, whether I use it or not. Sounds like a great, cost-effective plan, Ron. Check out limit of 50 per week? Love it. We used to check out movies from our library, but it’s a bit of a hike and we sometimes ended up paying late fees. We really should use that option more often, though. As you said, we’re paying for those movies with our taxes! I watch PureFlix 7.99 per month – no cable can’t afford it – a friend of mine stays with me twice a week and logged me in to her Netflix for free. LouAnne – I had never heard of PureFlix. Thanks for bringing it to my attention. I would like to have Spectrum, but because we live in Nashville TN, they don’t provide service there. So my family has ATT internet only and Roku. Rarely we rent a movie through VUDU or whoever has the best price with the Roku search option. We want to add cell phone service, but this kicks the price over $100 per month. Currently paying $70 per month for internet only. Thanks for sharing your experience, Don. There are lots of options out there, and lots of ways to spend a bunch of money. 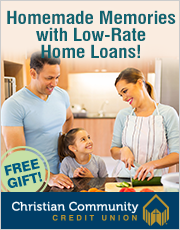 Sounds like you’ve found a plan that works for you that is also pretty affordable.